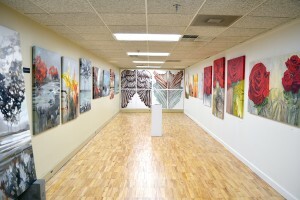 This year we will be showing a very special show that is featuring work by three Polish artists. 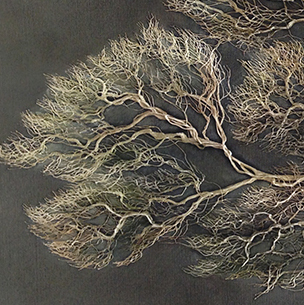 Joanna Tlok, Andrzej Sikora and Katarzyna Korytowska, together prepared a collection titled “A Walk In Nature” that shows three very unique ways of visualizing nature. 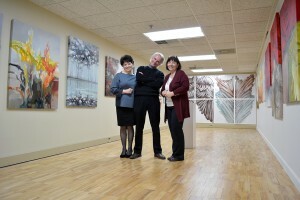 Our first first location for the show is in The Art of Custom Framing gallery in Troy, Michigan. 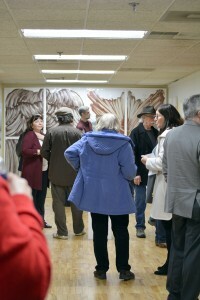 Opening reception was on April 8th and the show will be up till May 9th. 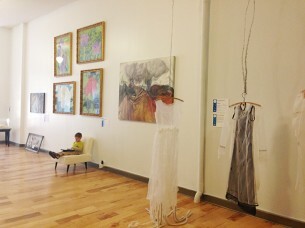 If you haven’t been to the reception, it is well worth to see our artists work in person. 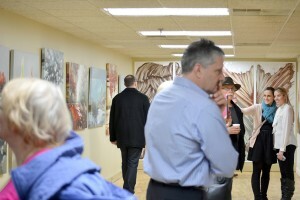 Our opening reception was a huge success where local art lovers, interior designers and also Polish community showed their support. 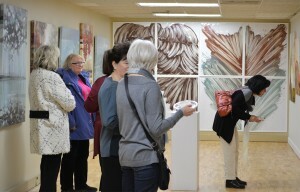 Representatives from Tygodnik Polski / Polish Weekly News, and Przyjaciele Polskiej Sztuki / Friends of Polish Art made their way and represented Polish Metro Detroit art enthusiasts. 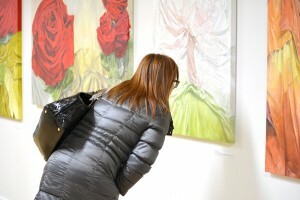 One of guests looking at details of a painting by Joanna Tlok. Room getting slowly filled up with our guests. 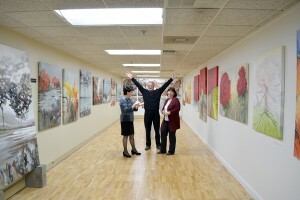 One of guests taking photos of the artwork by Andrzej Sikora. All three of our artists posing at the end of the night. From left Joanna Tlok, Andrzej Sikora, Katarzyna Korytowska. Our three artists, all happy at the end of the night. Thank you to all those that attended and hope our next reception will be equally successful. If you would like to see “A Walk in Nature” show in your gallery please let us know and we will consider all the requests!